A collaborative Horizon 2020 project has begun this month that will develop a new method of laser surface texturing using ultrashort pulse lasers in order to produce super hydrophobic polymer and metal materials. The materials will provide solutions for a variety of the project partners, including those from the automotive, white goods and consumer goods markets. Using surface engineering principles, the €6.4m-funded ‘Prometheus’ project, coordinated by the European Welding Federation (EWF) and expected to conclude in 2021, aims to add functionality to metal and polymer material surfaces using laser surface texturing. By reducing their friction, the laser surface texturing will make the materials super hydrophobic – making them able to repel water. One proposed application of the textured materials is for the front bumper of vehicles, with the imparted hydrophobic properties making them easier to clean. Another possible application is for project partner Johnson and Johnson, which hopes that the project will provide a method for lowering wastage of its products since a textured non- or low-stick surface on the inside of its containers will allow more product to slide out. This application will also have evident benefits for the recycling of containers. Elsewhere, there are uses for the hydrophobic performance to reduce the energy required for drying the heating element on dishwashers and lessening friction for engine cylinders and pistons. Partners of the Prometheus project consortium. 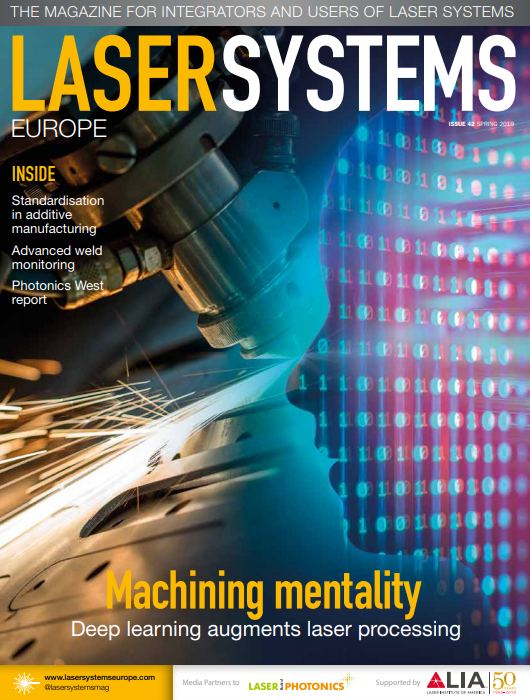 The novel laser texturing method will use ultra-short pulse (USP) lasers developed by Powerlase with pulse durations ranging between 700ps – 10ns, more than 1kW average power, and repetition rates exceeding 500Hz. A direct laser interference patterning (DLIP) method from Fraunhofer IWS will also be used, in addition to a novel M2 transformation beam shaping technique based on diffractive optics from Holo-Or. The texturing processes will be monitored and controlled via systems provided by Visum. The primary advantage making materials hydrophobic using texturing rather than coating, is that it offers a more durable and sustainable solution, at a higher speed and lower cost. The texturing speed target of 2-5m²/min for a range of materials and geometries will enable laser surface texturing to become a viable technology for large scale and high-volume industrial applications. High resolution features down to 1µm will be produced with minimal heat impact on work pieces. Partners of the Prometheus project include: TWI, EWF, Powerlase, Holo/Or, Visum, Arcelik, Maier, Centro Ricerche Fiat, The Manufacturing Technology Centre (MTC), Photonics Bretagne, Prima Power, Jonson & Johnson, Fraunhofer IWS, and Aimen Centro Tecnologico.